The Moon cup is one of the most popular menstrual cups in the world. It’s made in the UK from top-quality, medical grade silicone and it just seems to work well for most people. For more information on this period cup, you’ll want to check this out: Full MoonCup Menstrual Cup Review. Let’s get to the tips for using your new Mooncup. Get ready for some period awesome. You should always wash your hands well before handling a menstrual cup, inserting or removing it. This helps to prevent things like yeast infections, or other vaginal infections. You should wash your Moon Cup well every time you remove it. Some companies sell a special menstrual cup wash. These things work well, smell nice and will keep your new menstrual cup in tip-top shape. However, they can be quite expensive and many people find that a mild, water-based soap and water works just as well. Inserting a menstrual cup is not so difficult, once you get the hang of it. There are a number of different folds that you can try. Some work better for certain cups, and for certain body types. Experiment and see what works for you. This is especially true if you find the Moon Cup difficult to insert and get it to fully open. It might be that you just have the wrong fold for you. 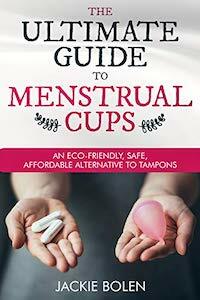 It’s recommended that you take out, and empty your menstrual cup every 12 hours. If you have a heavy flow, you’ll probably have to do it sooner than this. The Moon Cup is not considered to be one of the highest capacity menstrual cups. Beyond the overflowing factor, another reason to change your menstrual cup every 12 hours is because of the risk of Toxic Shock Syndrome. The overall risk is actually extremely low with a menstrual cup, but taking out your cup and cleaning it well at regular intervals can lower this risk even more. Tip #6: Pair with a Cloth Pad? If you’re looking for the ultimate in eco-friendly period protection, then you’ll need to consider pairing your Moon Cup with a reusable cloth pad. They’re very similar to disposable pads, but they are made from cloth and stay in place with snaps on the wings. Do you use a pantyliner as a back up for your menstrual cup? Check out our top picks for reusable cloth pantyliners. Perhaps you use your Moon Cup with a heavy pad on the night of your heaviest flow? There are heavy reusable pads too! Check out: Top 5 Reusable Menstrual Pads. Tip #7: What about in a Public Bathroom? That’s it! It’s really not so difficult. Most people only feel like they’ve mastered the menstrual cups after using it for a year or two. Before that? Leaking, and frustration are not uncommon. The key is to power through it! Don’t give up too soon. It’s worth it. It can take a while to put your cup in, and also to take it out. Don’t try to do it in the two seconds before your ride is coming to pick you up. Give yourself a leisurely 5 or 10 minutes, okay? Nobody like that kind of stress in their life. It’s impossible to insert, or remove the Moon Cup without getting at least a little of menstrual fluid on your hands. Just accept this and your life will be easier. It’s really not as gross as you might think. What’s your Top Tip for Using the Mooncup?